What kid doesn't like Elmo, Big Bird and Cookie Monster during his or her toddler and preschool years? 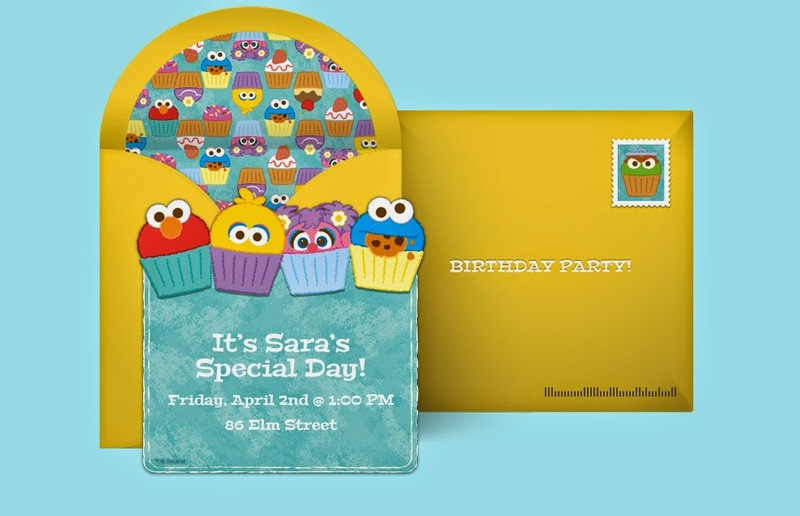 I threw my oldest a Sesame Street birthday party when he turned 2 and he was definitely excited about it! Here are some creative DIY ideas for you, if you're planning on having Elmo and friends at your party. You can make your party character specific, e.g. 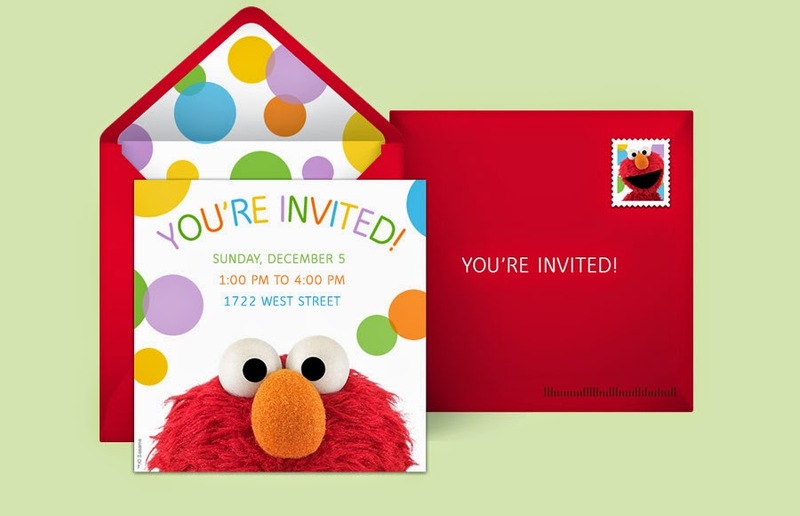 Elmo party, etc., but then you are more restricted in terms of decor, invitations. entertainment, and so on; so, just keep that in mind. Here is a great selection from Punchbowl, and it's FREE! Decorate your venue with bright red, blue, green and yellow colours. You can use balloons, streamers, books, toys, crayons, posters, and more. Below are some of my creative DIY ideas. For this I bought blue, red, yellow foam paper and double sided tape from the dollar store. Then, I printed a template from the Internet of Elmo's, Cookie Monster's and Big Bird's foot prints and cut them out. Then cut the foam paper the same way around your cut-out template. Stick the final footprints with double sided tape in front of your house. I love this poster; I still have it:)! For this poster, you will need green and yellow poster paper, and a gold wide cloth ribbon that you can buy at the dollar store. You will also need thick permanent markers that look nice on poster paper. I bought a bunch from the Desserres art store; they come out a bit pricey, but they're amazing and you can reuse them many times for more parties. Directions: Cut out 3 big rectangles (measure and mark with pencil so that they're all the same size) from the green poster paper. Then, you will need to cut out six 1/2" long strips (same as the length of your rectangles) and six 1/2" short strips (same as the width of the rectangles) from the yellow poster paper. Then, glue the strips around the edges of the rectangles. Then cut out three proportional semi-circle from the green poster paper and an edge to go with it from the yellow poster paper. Glue each semi-circle to a rectangle (by gluing the bottom of it to the back of the top of the rectangle. Now for the writing: on the first rectangle write "WELCOME TO", on the second "[YOUR CHILD'S NAME] STREET", on the third "TODAY'S LETTER IS [THE FIRST LETTER OF YOUR CHILD'S NAME]" and underneath "TODAY'S NUMBER IS [YOUR CHILD'S AGE]". Now, to put it all together, take your gold ribbon; you will need double the length of your front door as you will wrap it around the door and tie it together in the back. Space your premade rectangles out and glue or tape (with double sided tape) them onto the ribbon. Now wrap the final product around your front door (easiest when 2 people are doing it) and tie it all together in the back. Personalized Sesame Street poster of your child "2nd Year Firsts"
For this welcome poster that I put out in the hallway so that guests can see it as soon as they enter the house, I bought Sesame Street wrapping paper from Partycity and thcik styrofoam poster board from the dollar store. I glued the wrapping paper around the poster and cut out pictures of my son's 'firsts' during his 2nd year, e.g. first time baking, first travels, first sibling, first time on ice, first family holiday, etc, and glued a sticket with a description under each picture. It's a great keepsake item as well. 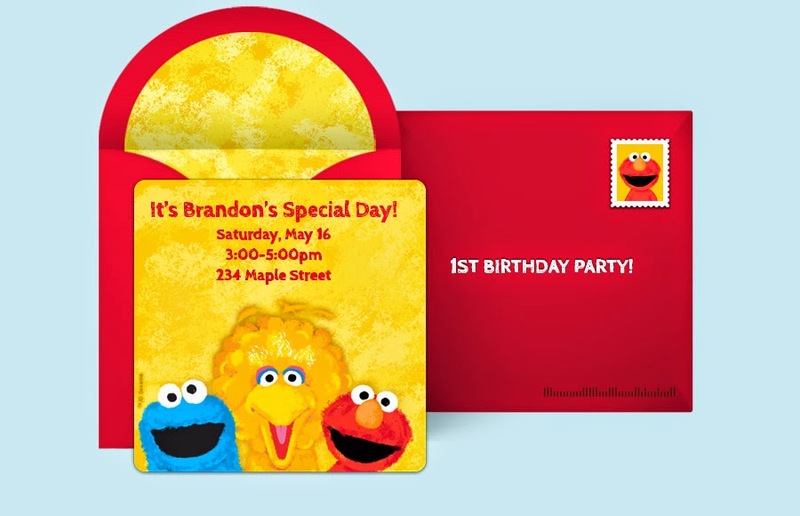 I bought the Sesame Street happy birthday banner, table cover and center piece balloon at Partycity. Set up a delicious and decorative buffet table. For kids drinks you can serve Elmo's mini boxed apple juice or Sesame Street mini boxed fruit punch. Both are available at No Frills and other supermarkets. Below are some of my creative DIY ideas for decorating with food. For Elmo, use cherry tomatoes for the face, 2 mini muffin cups filled with veggie dip with one blueberry in each for the eyes, mini carrots for the nose and olives for the mouth. For Oscar the Grouch, use broccoli for the face, mini carrots for the hair, 2 mini muffin cups filled with veggie dip with one blueberry in each for the eyes, and cherry tomatoes for the nose. I recommend buying plates, cutlery and napkins at Partycity. For Cookie Monster, use blueberries for the face, 2 mini Danone yogurts with one blueberry in each for the eyes, and raspberries for the mouth. For Elmo, use strawberry for the face, 2 mini yogurts with one blackberry in each for the eyes, and blackberries for the mouth. For Big Bird, use pineapple for the face, 2 mini Danone yogurts with one blueberry in each for the eyes, and a banana for the nose. Print a colour picture of Cookie Monster eating cookies and insert it into a cookie jar filled with cookies. Order or buy a cake already decorated, or decorate with Sesame Street candles. I was lucky to find Sesame Street birthday cake candles at Value Village. You can also, bake a traditional rectangular or circular cake and decorate it with Sesame Street birthday cake candles. For my son's birthday party, I didn't spend any money on special entertainment. I set up different kids stations throughout the house for kids to enjoyed and simply decorated them. The kids had a blast! Arts & Crafts with Cookie Monsters - a box filled with various arts and crafts activities for toddlers. Elmo colouring books are a great way to entertain the kids. I recommend buying Sesame Street stickers and books from the dollar store. I try to spend $5 or less per loot bag. 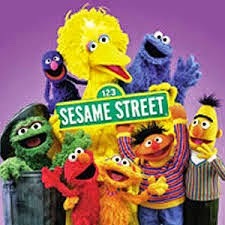 This Sesame Street Party has been brought to you by the letter "S" and the number "35":).